Blouse by PETER HAHN with vented short sleeves. 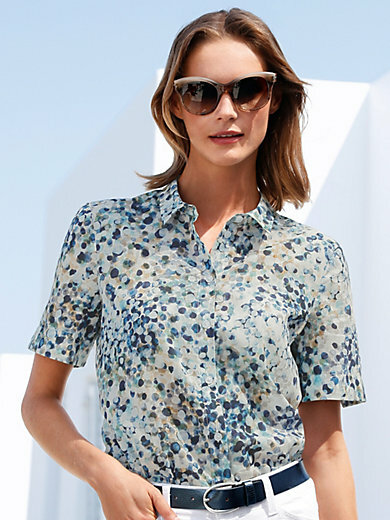 Summery, fashionable and very stylish featuring a new interpretation of the dot pattern, making every blouse unique. Slightly tailored shirt-style blouse. Rounded hem. 100% cotton. Length approx. 24ins. The blouse is machine washable.